New York City is full of history, icons and stories. 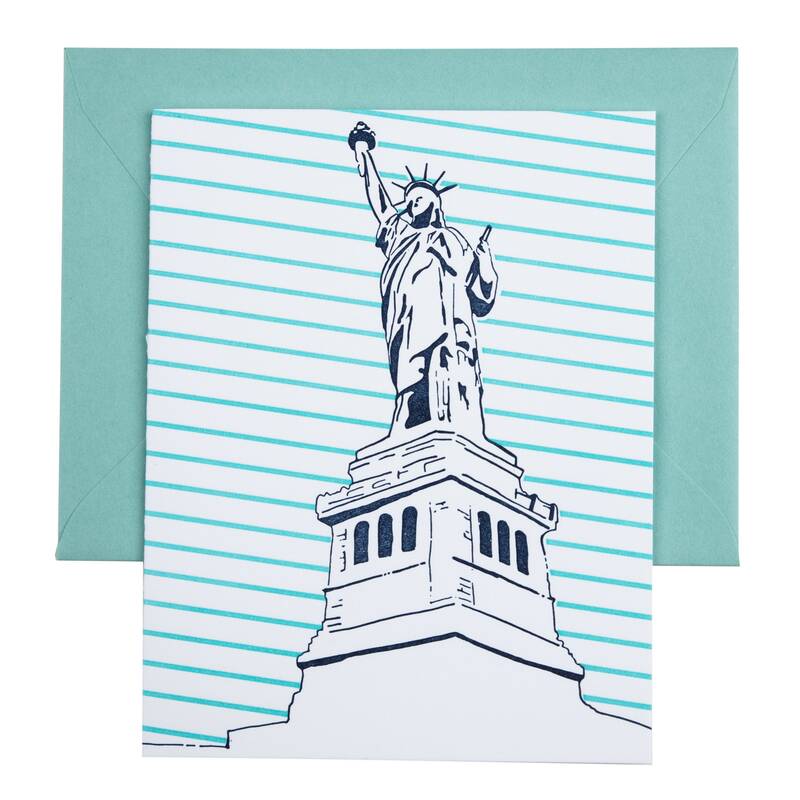 This 2 color letterpress card illustrates the Statue of Liberty located on Liberty Island in the harbor of New York City, New York. 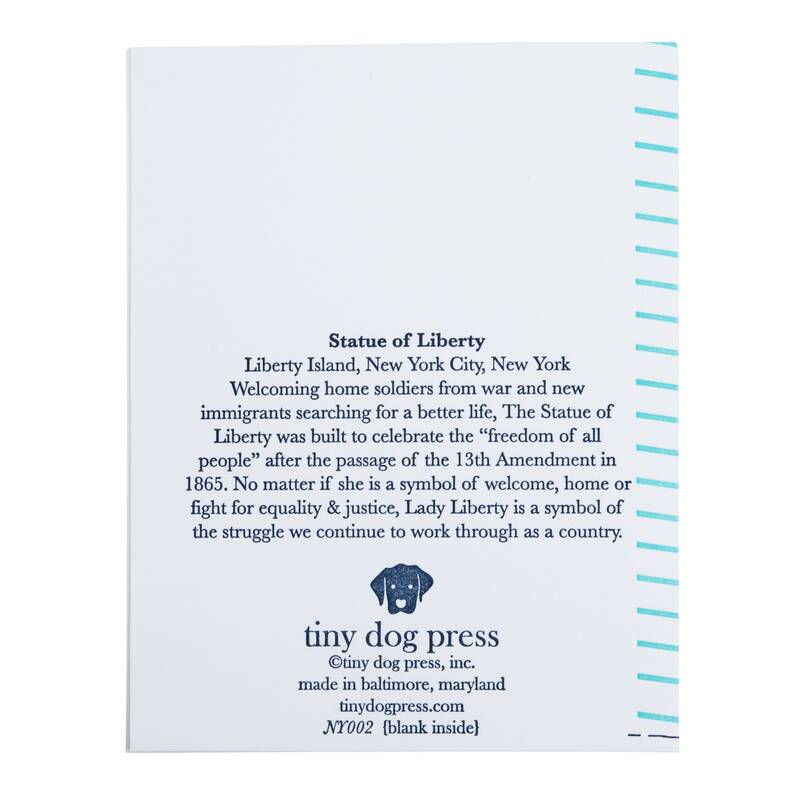 There is a diagonal strip pattern in the background and a short blurb on the history of the statue on the back of the card.